Raspberry Pi 3 Model B is the first 64 bit version and the third generation Pi box which runs on 1.2GHz 64 bit quad-core ARMv8 CPU. (Broadcom BCM2837 A53 ARM processor). Despite its processor upgrade, there wasn’t an official 64-bit OS available for it till the first week of Jan 2017. Kudos to SUSE Team, they came up providing first commercial enterprise Linux distribution optimized for ARM AARCH64 servers. This is definitely a BIG news. Reason – To build a solution to meet specific market needs while maintaining a common code base. Enterprise vendors & customers demanding workload-optimized server platforms can now radically expand it for their modern data centers. In the last couple of months, Docker enthusiasts have been working hard to get Docker running on ARM 32bit systems (like Raspberry Pi). With Docker Engine 1.12.1, a FIRST ARM Debian package was officially made available by Docker Inc. which happened late last year. 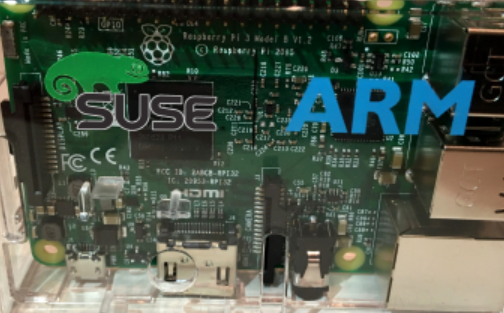 This year, SUSE Team did a great job in bringing capabilities of SUSE Linux(a.k.a SLES for ARM) to the ARM AArch64 hardware platform. This is BIG news for Docker community too as more innovation and development is expected to grow building containers which will run across the AARCH64 platform. Under this blog, I am going to test drive Docker 1.12.3 on first 64-bit ARM Open SUSE distribution running on Raspberry Pi 3 box. 2. 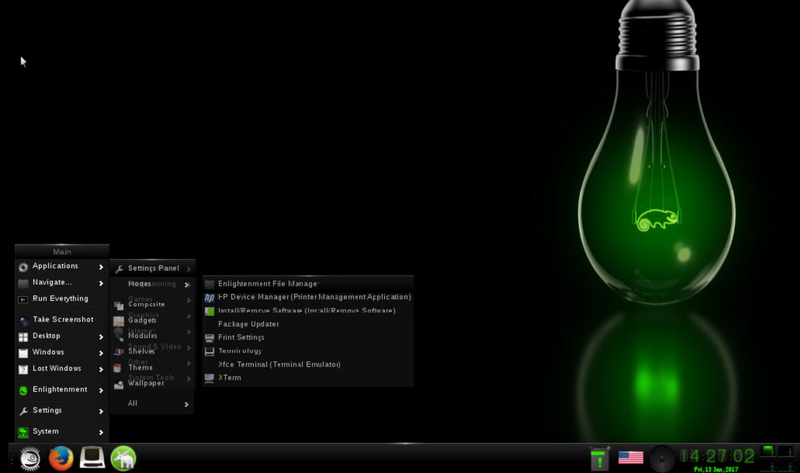 Download OpenSUSE Leap 42.2 ARM OS from here and use Win32 imager(in case you are on Windows OS running on your laptop) to burn it on microSD card. Please be aware that the usual Docker containers are not going to work for this architecture. You need to pick up AARCH64 bit Docker images to run containers. Tested docker-compose v2.0 functionality by bringing up microservices and it went fine. Are you planning to speak or conduct your next Docker Workshop on Raspberry Pi’s? Still curious to know whether the tools like Docker Machine, Docker Compose, Dockerfile, 1.12 Swarm Mode, High Availability & Load Balancing are compatible and good to be demonstrated to the workshop audience? 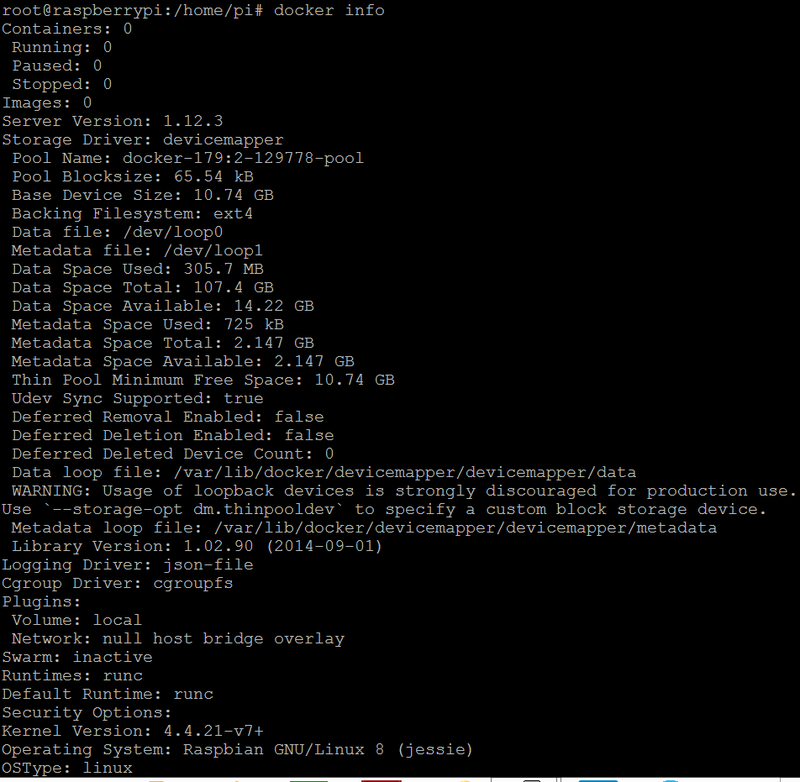 In case you want to know the current state of Docker containers on Raspberry Pi, then you are at the right place. For the next 1/2 hour time, I will be talking about what Docker images, tools, networking and security features are supported on Raspberry Pi box. Let’s have a quick glimpse of what popular tools works today with Docker Engine on Pi box. 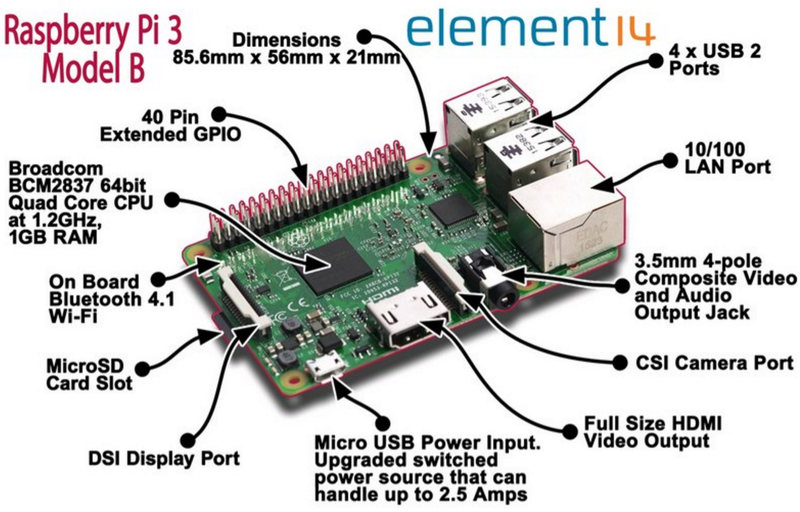 Below listed are few lists of tools and applications which currently works great on Raspberry Pi. Please remember that this is NOT official support Matrix from Docker Inc. Also, the versions specified are the latest tested and verified personally. I just verified the tools functionality so as to keep it ready before the workshop. In my previous blog post, I talked about “Docker 1.12.1 on Raspberry Pi 3 in 5 minutes” where I demonstrated on how to get started with Docker 1.12.1 Installation on Pi box for the first time. With 1.12.1, a FIRST ARM Debian package was officially made available and there was tremendous amount of interest among the Docker users. This time I tried my hands with the latest experimental build, Docker Engine version 1.12.3 on top of the latest Raspbian Jessie Lite version. Docker Compose is a tool for defining and running multi-container Docker applications. With Compose, you use a Compose file to configure your application’s services.Major features like multiple isolated environments on a single host, building up Microservice architecture makes Compose a powerful tool. I picked up the latest stable Docker Compose version 1.8 so as to check and verify the latest compose functionality. I followed this link to get Docker Compose version 1.8 installed on my Pi box. It went smooth and required no tweaking at all. I tried running WordPress application(running maria-db, Apache and PHP) inside docker containers using docker-compose and it just went fine. The overall experience with Docker Compose was positive. 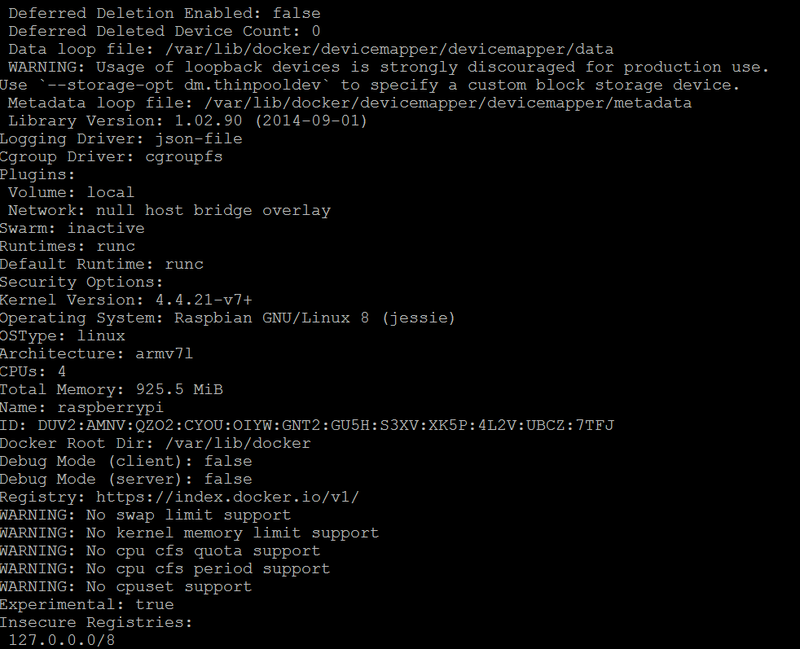 Tried dozens of docker-compose CLIs like exec and run and it worked great. In case you are planning to demonstrate Compose 1.8, go ahead and this should be a great tool to demonstrate the concept of Microservices to the workshop users. One just need to add the worker nodes as suggested in the above command and it just worked as expected. I tried few features like workers leaving the cluster using $docker swarm leave option and it worked as expected. Creating networks and attaching services to the overlay network is one feature which I haven’t yet tried out. Will update this space once I try my hands-on with the overlay network. Demonstrating HA using Swarm Mode is always an interesting stuffs to do with the container clustering. I had 5 nodes clustering setup with 5 Raspberry Pi – one master and other 4 worker nodes. I took the same WordPress application and demonstrated on 5 node cluster. I scaled out the WordPress application container from 10 to 30 and then tried stopping few containers on the 3rd Pi. Automatically the new containers came up with a new IDs balancing across the swarm cluster. I haven’t tested the master node failure on Pi box but I believe it should work with minimal 3 number of master nodes on Raspberry Pi boxes. Last September, I built the first CentOS 7.2 ARM docker image on Raspberry Pi 3 which I described in detail through my blog. It was well appreciated effort and quite accepted by Docker community. I was trying to build Dell legacy application for ARM architecture and the legacy application was tightly coupled to CentOS 7.x distribution. Hence, just thought to pick up necessary packages from Fedora repository and successfully built the required CentOS 7.2 Docker image. 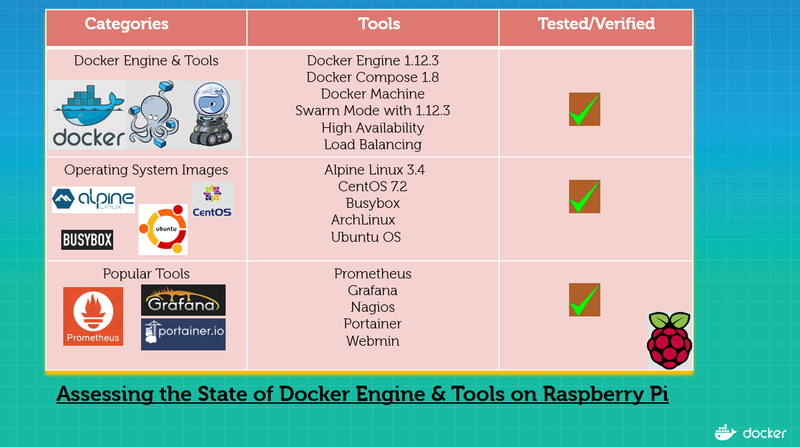 Other than CentOS, Ubuntu, Alpine Linux and Arch-Linux are few of the most popular Docker OS image which can be demonstrated to the workshop audience. 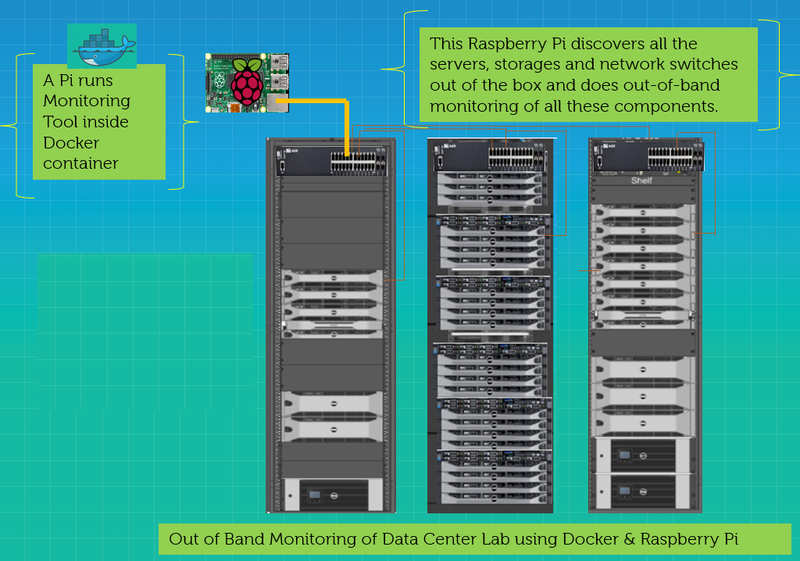 Two months back, I published a blog post on “Turn Your Raspberry Pi into Out-of-band Monitoring Device using Docker“. I pushed Nagios Docker image for the first time for ARM architecture which you can use freely from Dockerhub. 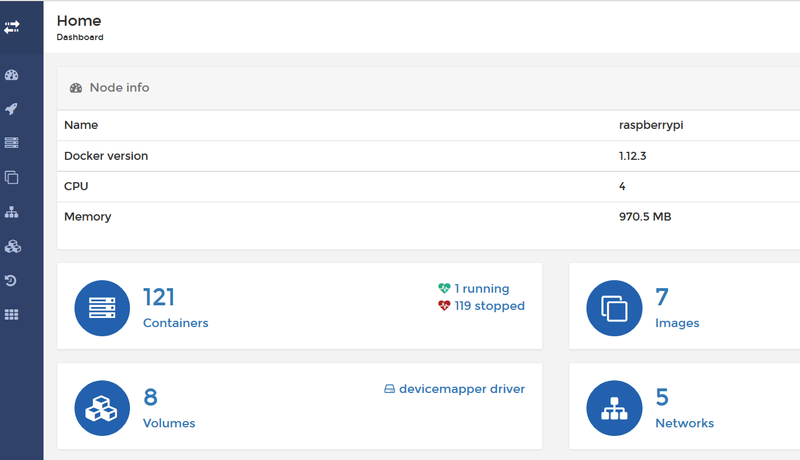 Demonstrating the monitoring tool like Nagios running inside Docker on Raspberry Pi can be a great example of how Docker reduces the complexity in packaging the huge application. Talking about UI & Management of Docker containers, I came across Portainer – A Simple Management UI for Docker .Portainer is very young project but gaining a huge popularity due to its easy to use UI, lightweight and responsive user interface. 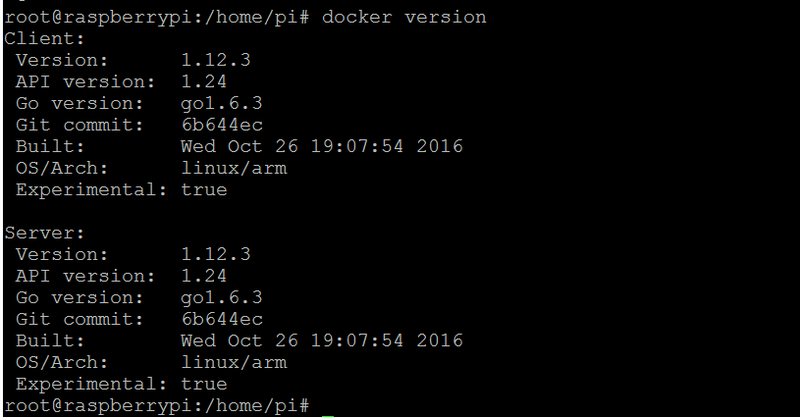 [Updated: 11/21/2016] – Good News for Pi users – Portainer now has official support for ARM arch using the Docker image portainer/portainer:arm ! Portainer recently added more features to support swarm mode services in their latest release. That’s it. All you need to do is open your browser and point out to http://<IP>:9000.Portainer provides you a lightweight management UI which allows you to easily manage your Docker host or Swarm cluster. One of the most attractive offering from Portainer Team is “Use Your Own Templates” . It allows you to rapidly deploy containers using App Templates, a glimpse of which can be found at https://raw.githubusercontent.com/portainer/templates/master/templates.json. In short, Portainer allows you to manage your Docker containers, images, volumes, networks and more ! It is compatible with the standalone Docker engine and with Docker Swarm. In the previous post, we talked about running Nagios container on Raspberry Pi for the first time.Nagios is a free and open source monitoring and alerting service which basically collects the statistics of your server using agents like nrpe, check_mk or using SNMP and sends the alert if the metric value is above the predefined threshold. It is a great tool for monitoring the nodes or monolithic application but with the advent of the ‘microservices’ architecture and Docker, monitoring the small piece of services running across the cluster becomes very important.With that also grows the need to monitor these services around the clock, to maintain the healthy functioning of the application. One of the most talked-about monitoring tools are Prometheus & Grafana. Prometheus is an open-source systems monitoring and alerting toolkit written in Go. It is a next-generation monitoring system and well appreciated by Docker Core Engineering Team. It’s a service especially well designed for containers and provides perspective about the data intensiveness of this new age and how even Internet scale companies have had to adapt. On the other hand, Grafana can be rightly called the face of Prometheus. It is also an open-source, general purpose dashboard and graph composer, which runs as a web application. It supports graphite, influxdb or opentsdb as backends. 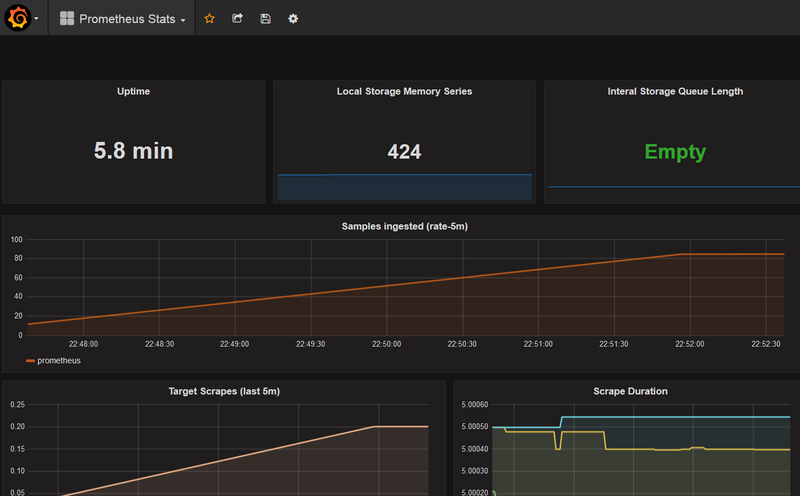 While Prometheus exposes some of its internals like settings and the stats it gathers via basic web front-ends, it delegates the heavy lifting of proper graphical displays and dashboards to Grafana. For anyone who want to collect metrics from the development environment to be graphed and measured, Prometheus as time series store and Grafana as a visualization tool is the perfect solution. Prometheus is a self-hosted set of tools which collectively provide metrics storage, aggregation, visualization and alerting. Usually most of the available monitoring tools are push based, i.e. agents on the monitored servers talk to a central server (or set of servers) and send out their metrics. Prometheus is little different on this aspect – It is a pull based server which expects monitored servers to provide a web interface from which it can scrape data. This is a unique characteristic of Prometheus. Powerful Query language (leverages the data model for meaningful alerting (including easy silencing) and graphing (for dashboards and for ad-hoc exploration). No reliance on distributed storage; single server nodes are autonomous. Time series collection happens via a pull model over HTTP. Targets are discovered via service discovery or static configuration. Multiple modes of graphing and dashboard support. You can deep dive more into its architecture at https://prometheus.io/docs/introduction/overview/#architecture. I was in need of lightweight monitoring tool like Prometheus and Fancy UI like Grafana for my Raspberry Pi which I can spin up as Docker container in few seconds and then grow /spread it across the cluster primarily to test it for Docker 1.12 Swarm Mode. Unfortunately, I didn’t find any Docker image for Prometheus. I decided to build one for myself to explore it on Raspberry Pi 3 box. After spending considerable amount of time on Pi box, I was able to build the first Prometheus Docker image and pushed it to Dockerhub. 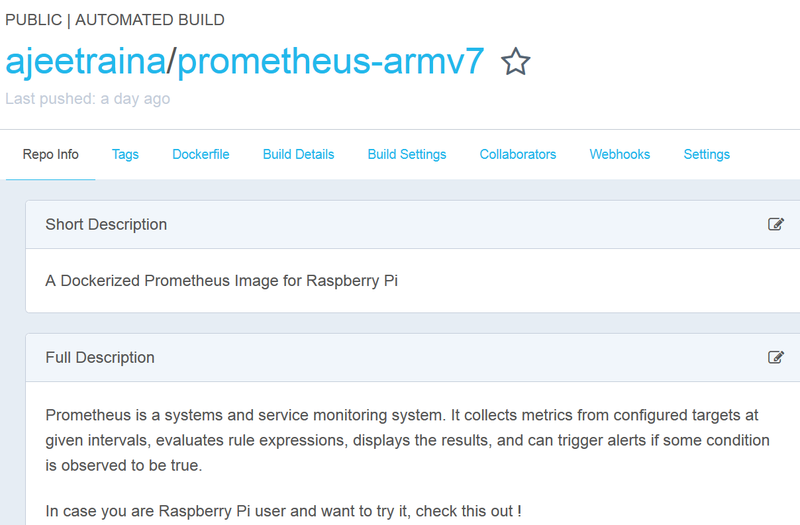 In case you are interested, check out my github page : https://github.com/ajeetraina/prometheus-armv7 to build and run your own Prometheus container. Ensure that you have either sample or your own customized prometheus.yml file under / directory to run this container. That’s it. Browse to http://<ipaddress>:9090 to check out the Prometheus UI. 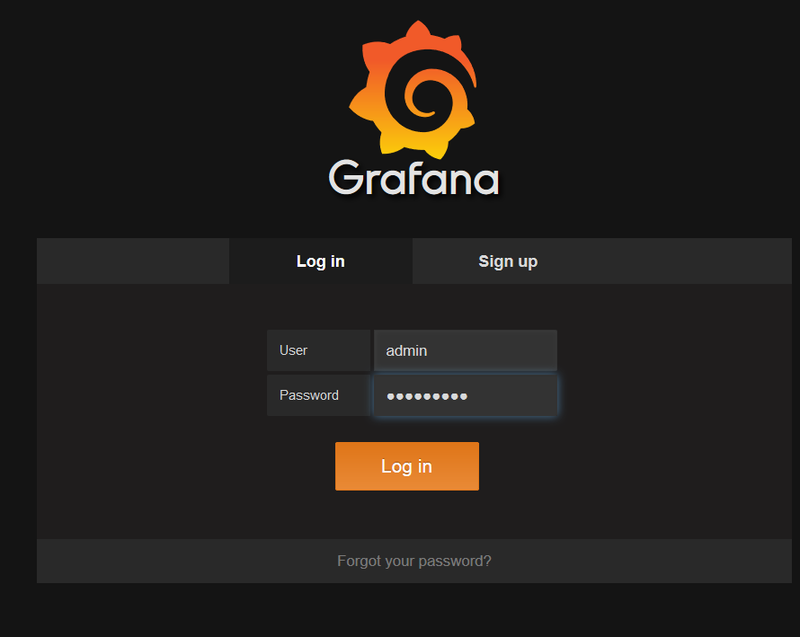 Also, Browse to http://<ipaddress>:3000 to open up fancy Grafana UI as shown below. 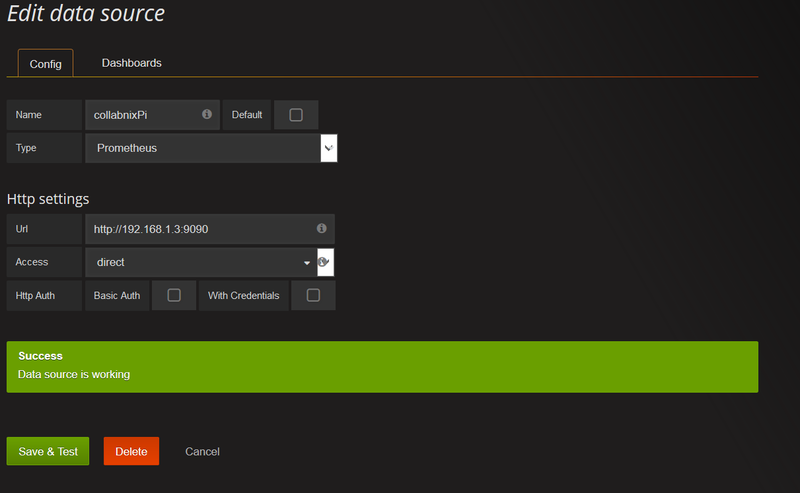 Supply admin/collabnix as credentials to enter into Grafana UI. I firmly believe that the newly built Prometheus container is sure to help developers to monitor their microservice application on top of Raspberry Pi box.In the next post, I will talk about the other available data sources and how it integrates with Prometheus and Grafana as a monitoring stack in detail. Why should I deploy Docker to IoT devices? What are the use cases of running containers inside the IoT device like Raspberry Pi? Is Docker on IoT devices just for hobbyists? – To answer all these burning queries, I just thought of sharing one of the most interesting use case inside the datacentre lab which will surely attract infinite number of possibilities and implementation with Docker containers. Imagine a small credit card size server sitting just below your ToR (Top of the Rack) switch, consuming very low power ( similar to your mobile device), not bound by wired Ethernet( Wi-Fi Direct, ZigBee) for mobile access and control, connected to ToR switch to discover the overall hardware, software managed and deployed through air, no monitor, keyboard and mouse intervention required – just boots up, discovers all your servers(rack/blades), storage(FC/iSCSI), Converged Infrastructure and network devices automatically and ready to monitor all of these datacentre equipment on the mobile & Web UI . Sounds interesting?? What if I say I have a single DOCKER container running inside this credit card size device handling all these functionality? Sounds crazy? Let me share the recent experience I had prototyping and designing this solution. Why should I deploy Docker to IoT devices? Docker is an open platform to build, ship and run your application anywhere: in your laptop, workstation, server, in a private or public cloud, within a local VM, or on physical hardware including IoT devices. Docker is very lightweight and this is what attracts developers who can apply to rapidly develop, test, deploy, and update IoT applications at scale. With very less disk, low memory resources and almost zero run-time overhead, deploying Docker on IoT devices like Raspberry Pi is considered a feasible solution. Example: Let’s consider NagiosPi – a lightweight, feature rich & fully configured Server Monitoring Distro for the Raspberry Pi. To setup NagiosPi, one need to download the image and flash to SD card. Then, you need to boot through this SD card to use this tool. Why not just pull Nagios Docker image from Dockerhub and run it? 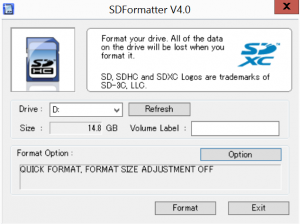 I am sure you will save a lot rather than flashing your entire SD card and loosing the underlying OS.In short, if you run containers directly on your device, you can avoid having to constantly flash your device or overwrite the entire firmware. Instead you can build new images, pull them and run them within the host OS on the device. Just run the single Docker run command and Nagios is ready which you can easily see on the WebUI through http://<IP>/nagios. Nagios is a free and open source monitoring and alerting service for servers, switches,applications and services. It basically collects the statistics of your server using agents like nrpe, check_mk or using SNMP and sends the alert if the metric value is above the predefined threshold. One of the implementation of such tool is most of the time it’s configured as in-band connectivity which means software that is installed on the remote system being managed and only works after the operating system has been booted. If you want to monitor hundreds and thousands of such servers, you need to ensure that the agent plugin should be running on each nodes. What if I want to monitor the physical health of servers, storage and network switches? Say, you are running a huge data center for High Performance Cluster Computing (HPCC) kind of workloads and you want to make sure that the health of your servers is all fine. In case, any of the servers goes bad in terms of memory DIMMs, the in-band monitoring system needs lots of complex configuration to be carried out to meet the right implementation. Out-of-band(OOB) monitoring system finally comes for a rescue. OOB uses a dedicated channel for managing the hardware devices like network devices. This allows the network operator to establish trust boundaries in accessing the management function to apply it to network resources. How about using the tiny Raspberry Pi which can do OOB monitoring for the entire infrastructure? Why do I need to setup a big system if this small credit card size can do what I really need? I spent considerable amount of time to come up with a viable solution and finally initiated building Out of Band monitoring tool . 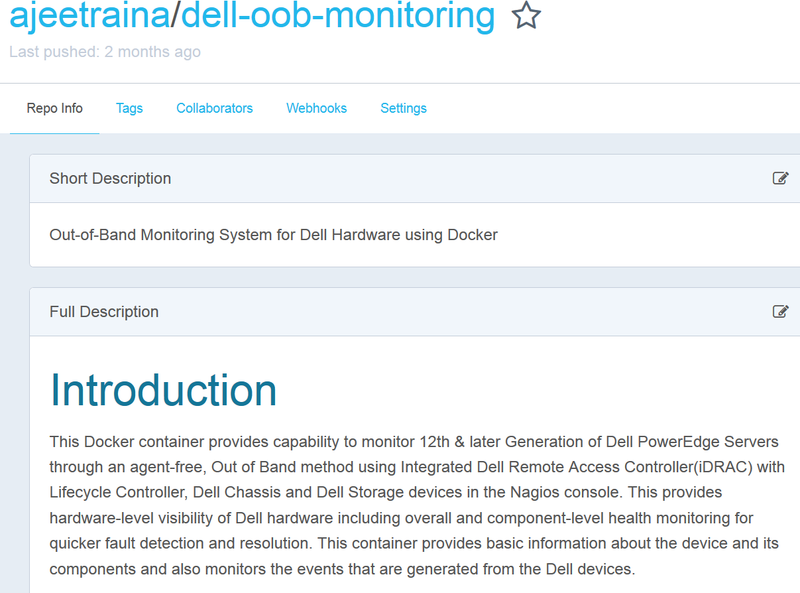 This was purely based on one of my previous work https://hub.docker.com/r/ajeetraina/dell-oob-monitoring/ which I built for X86 infrastructure. 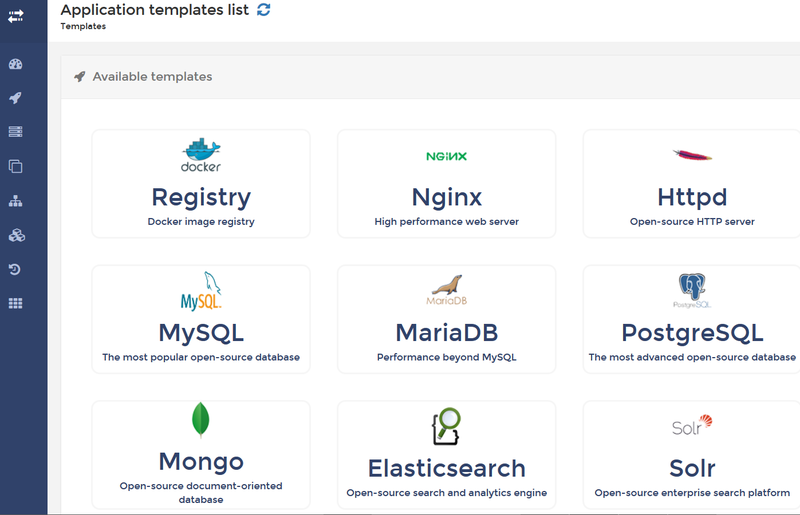 Open up your browser http://<dockerhost>/nagios to see all the listed servers, storage and chassis added automatically to Nagios console and ready to be monitored. Sounds Interesting?? Though I have tested this container internally and it just works out of box, I am still working on making it more lightweight. Stay tuned ! 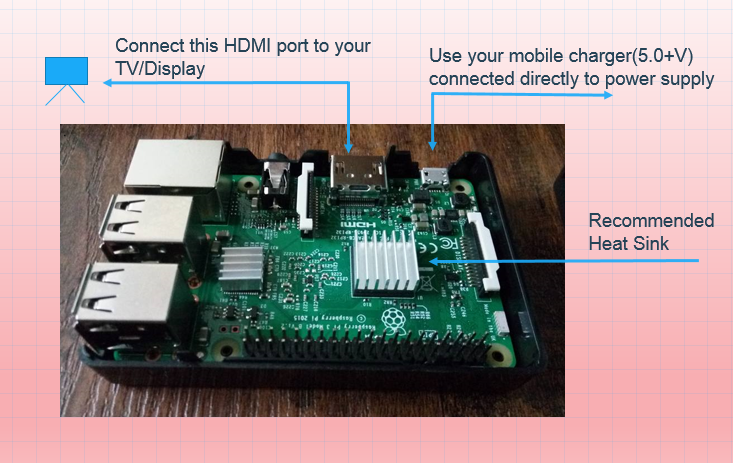 In the future post, I am going to talk more use cases of Docker on Raspberry Pi box. Keep Reading ! In the previous post, I showed how to get Docker 1.12.1 up and running on Raspberry Pi3 in just 5 minutes. Under 1.12.1 release, Docker Inc. provided a FIRST ARM debian package which can be installed using a single curl command. It works great and there has been numerous Ubuntu, Alpine and Debian based ARM Docker images been built and pushed out to Dockerhub. If you are CentOS/Red Hat user, you might be interested in building CentOS based ARM images on top of Raspberry Pi. As of today, there is NO CentOS based Docker image available for ARM architecture under Dockerhub. I had few of X86 based legacy application which only runs on CentOS based system and hence decided to build one of my own for ARM. It is important to note that X86 based Docker image is not going to work on Raspberry Pi box. This step-by-step guide will help you to build the CentOS 7.2 ARM Docker Image. 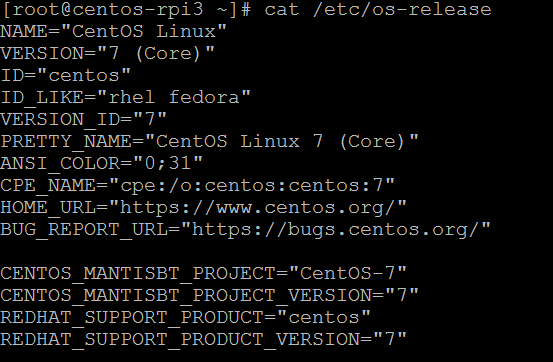 Step-1: Download the CentOS 7 specific ARM image from the official CentOS website. Luckily, I found that CentOS community has ARM images availability for all popular vendors such as BananaPi, CubieTruck, Pi2 and Pi3. I picked up the right one which will work for my Pi 3 box. 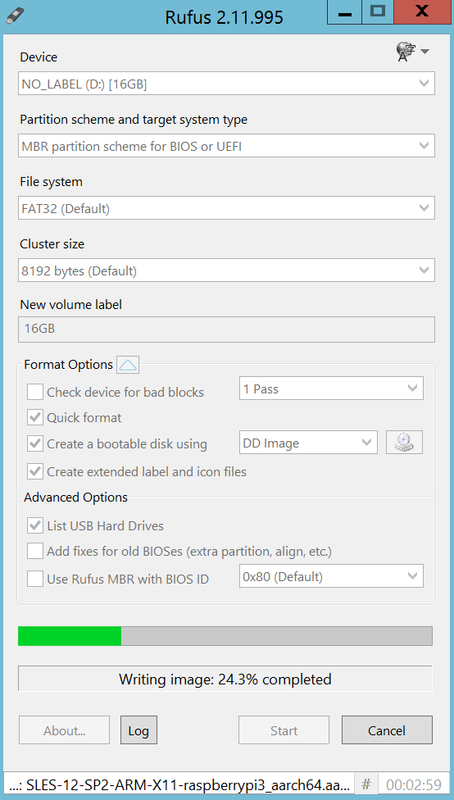 Step-3: Use Win32 disk imager to burn it directly into microSD card. Step-4: Insert microSD card into microSD slot of your Pi 3 box and power it on. The default username & password is root/centos. This is a minimal CentOS 7 ARM image and hence don’t expect GUI out of this image. By default, WiFi is not enabled. Refer README file under the root directory to get WiFi working. I had a small cable to connect to my router and the network just worked out of the box. I installed vncserver using YUM and could connect to the Pi 3 box without any issue. Step-6: By default, 2GB is the size allocated for / root partition. Follow the below step for expanding it to utilize the full 12GB of the space. 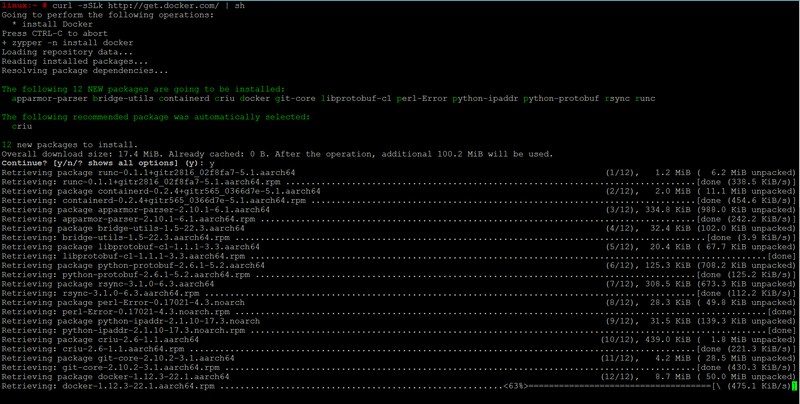 Step-7:Now configure the YUM repo to pick up the required packages for Docker. I did a little tweaking here by including RPMs available from foreign unofficial repository. Ensure that you run ‘yum update’ command again to get the latest packages for Docker packages. Yipee ! You got Docker installed on your CentOS base image on Raspberry Pi 3 box for the first time. Let’s quickly try to pull few of the container from Dockerhub. Let’s build up the first Docker ARM image for Dockerhub so that everyone can use it to build application on RPM based ARM container. 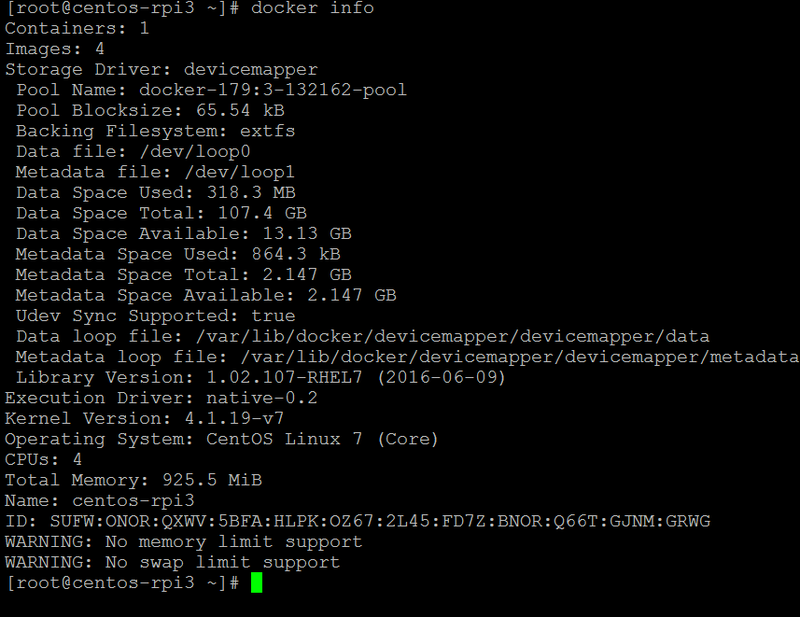 As you see the above command, I have used CentOS-Base.repo as a source repository to create Docker image successfully. Hence, this image is just 210 MB in size. I am planning to shrink it to lower size soon so that it comes up better than before. This is just awesome ! Now I have a platform to build monitoring tool on top of very tiny Raspberry Pi and this is going to be real fun. Will keep you all posted on the latest findings. Till then, keep Reading !